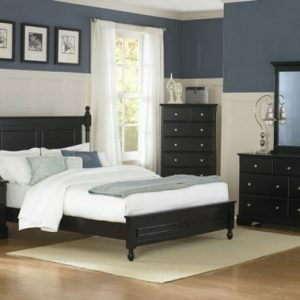 This sleek bed features a high straight headboard and low profile style frame, with exposed tapered feet for support. The dark brown leatherette upholstered generates a luxurious look that you will love. The collection is featured in a dark walnut finish with marble looking top. You can have a modern focal point to your bedroom decor with this upholstered bed. Simple, yet stunning this bed is bound to leave a memorable impression in your bedroom setting.